Entrance Vestibule | Lounge with door to rear garden | Dining Room | Fitted Kitchen | 2 Bedrooms | Bathroom/W.C | Gas Central Heating | UPVC Double Glazing | Allocated Parking | Enclosed Rear Garden | Courtyard Style Setting | Close proximity to modern primary school & bus service | Viewing Recommended. 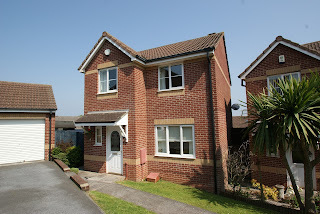 This well presented two bedroomed modern linked house occupies a residential position within a courtyard style setting and within very close proximity of a modern local primary school and with good access to local shops and bus service connecting the town centre of Paignton which is approximately 1 ¼ miles distant and offers a fine and varied of shopping facilities, amenities, beaches and harbour. The accommodation has been well presented by the current owners and offers entrance vestibule with good sized storage/cloaks cupboard, lounge with front aspect and door to the rear garden, opening to separate dining room and there is a fitted kitchen which overlooks the garden. On the first floor there are two double bedrooms plus a modern bathroom/W.C and the accommodation also benefits from the installation of gas central heating and double glazing. Outside there is an allocated parking space within approximately 25 meters of the property, small front garden and enclosed rear garden which is arranged to patio and lawn. An internal inspection is highly recommended to appreciate the accommodation on offer. Liz Phillips: Another nail in the coffin of interest-only mortgages. One more lender has chosen to abandon interest-only mortgages, which continue to turn into a niche product as consumer demand falls. Coventry Building Society is just the latest lender to stop offering interest-only mortgages to new homebuyers. Anyone with this type of mortgage needs to be seriously worried. The building society joins Royal Bank of Scotland and NatWest which this week pulled the plug on interest-only following a similar move by Nationwide last month. Even those which still offer them are tightening up their conditions making them far harder to get. They include the giant Lloyds Banking Group, which has Halifax, Bank of Scotland and Cheltenham & Gloucester under its wing and Clydesdale Bank. Together, these banks and building societies represent nearly half of the UK's lenders. But that's not all. ING Direct, Leeds and Newcastle building societies will only advance 50% of the purchase price on interest-only, according to Mel Bien of Bien Media. And many of them will not allow homebuyers to say they will repay the capital through the sale of their property. They have to show they can repay it through savings and investments instead. Lenders are acting ahead of City regulator the Financial Services Authority making interest-only borrowers prove how they will repay the capital in 2014. The FSA has called these mortgages a "ticking time bomb", with two-thirds of those already in existence due to mature after 2020. Lenders say these once popular mortgages now represent less than 5% of their applicants and their trade body, the Council of Mortgage Lenders, says only 2% of first-time buyers take one out. But trying to minimise the impact by talking about new borrowers is masking the real problem - existing interest-only borrowers. If they're with one of the lenders which have pulled out of the market or put in restrictive conditions then they're going to find it impossible to trade up to a bigger home. Even if they can take their existing mortgage with them, they won't be able to borrow more. And switching to another lender prepared to advance a home loan on this basis is going to be difficult. More mortgage companies are going to drop out of the market, so those that are left can ramp up their interest rates as the competition falls away. Once that happens the money they save on their repayments can't be ploughed back in to chipping away at the capital as they'll have less spare cash to go around. The attraction of interest-only mortgages is obvious. On the whole monthly repayments are a massive 40% less than on a repayment mortgage. Take a £165,000 mortgage with an interest rate of 4%. On a 25-year repayment mortgage the monthly bill is £880, whereas on an interest-only basis it's merely £550. Only the other day on Twitter, I saw someone saying they hadn't realised they weren't repaying any of the original loan on their interest-only mortgage! It's mind boggling to think people can be so deluded. Unlike many financial products, this one does what it says on the tin. If you're only repaying the interest then there's no way you're paying off any of the capital. It's time to face up to the hard facts if you're on an interest-only deal. Either grab one of the excellent cheap repayment mortgages around now or split your mortgage and move at least part of it to a repayment type. ... And The Winners Are ... Williams Hedge Estate Agents! 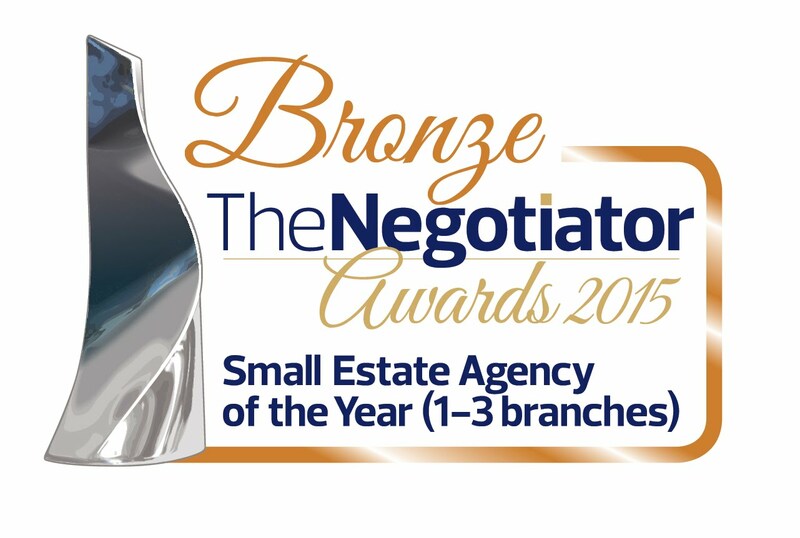 We are delighted to announce that we have been judged 'Best Newcomer Estate Agent in the UK at the National Negotiator Awards ('The Oscars of Estate Agency') on Wednesday. The prestigious event was held at the Hilton Hotel on Park Lane and was a spectacular glamorous and exciting evening with over 500 of the UK's top property people attending. Directors Jon Williams and Mark Hedge commented "we are absolutely thrilled and incredibly proud to have won this award less than 2 years after opening Williams Hedge. To be named Best New Estate Agency in Britain is a testament to our great team and a fantastic reward for all the hard work and long hours. We look forward to building on our success in the coming years." Residential living and commercial premises combined. Entrance Porch | Entrance Hall | Lounge/Dining Room | Study/Breakfast Room | Kitchen | Additional Ground Floor Reception Room/Bedroom 4/Office or use as a retail outlet subject to any necessary consents | Landing | Inner Landing | 3 Bedrooms (2 Double, 1 Single) | Bathroom | Separate W.C | Rear Courtyard with Workshop/Store | Timber Shed | Off Road Parking for One Vehicle | Level walking distance to town | Close to local shops and amenities | Gas Central Heating | Mostly Double Glazing. Detached House in need of complete renovation and modernisation | Entrance Hall | Living Room | Kitchen | Downstairs W.C | 4 Bedrooms | Bathroom | Garage | Gardens (overgrown) | Cul-De-Sac Position | Ideal Investment Opportunity/Renovation Project | Cash Buyers Only | No Chain. Detached four bedroomed house situated in a cul-de-sac within the popular area of Preston. The property has been in the same ownership for many years and now requires extensive renovation and modernisation throughout offering an ideal project for a builder/developer/ investor, the property has great potential. Pegasus Court is a development of apartments designed for the retired and developed by Pegasus Retirement Homes plc in 1990. Facilities include an Estate Manager who sees to the day-to-day running of the development and can also be contacted in the event of an emergency. For periods when the Estate Manager is off-duty each property is linked to a 24 hour emergency call system. Each property includes an entrance hall, lounge, kitchen, one, two or three bedrooms. It is a condition of purchase that residents be over the age of 55 years. This appartment is situated on the first floor to the front and is one of the larger apartments available in the complex. The location, on the doorstep of Oldway Mansions, with its Tennis Courts and Bowling Green, ensures that these retirement properties are very sought after. This three bedroom retirement apartment offers spacious well maintained accommodation with a generous entrance hall, lounge/dining room, Kitchen, three bedrooms, master en-suite bathroom and separate shower room. There are 57 apartments between the two blocks (Tor Lodge right, Bay Lodge Left) which form Pegasus Court and they are with walking distance of the shops and amenities at Preston and beaches of Preston and Paignton. This well presented and extended two bedroomed semi-detached chalet style bungalow occupies a residential cul-de-sac position within approximately 1 mile of Paignton town centre which offers a wide and varied range of shopping facilities and amenities, beaches and harbour. There is a nearby bus service and local shops within approximately ¼ of a mile. The accommodation features reception hallway, lounge, separate dining room, fitted kitchen with patio doors to the rear garden, ground floor bedroom with en-suite shower, study/office, ground floor bathroom/W.C and there is also a first floor bedroom. 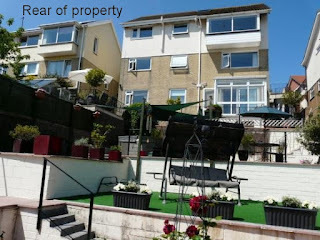 Outside there are lawned gardens to the front (there is potential to create off road parking subject to any necessary consent) whilst to the rear there is an enclosed garden which is split level with decked areas and lawn. An internal inspection of this gas central heated and double glazed property is recommended to appreciate the accommodation on offer. Three bedroom modern detached family home with garage, gardens and parking. Recently improved by the current vendor, comprehensive range of fitted wardrobes to master bedroom and addition of large walk-in shower, brick pavior parking. The property occupies a virtual level plot with enclosed rear garden and attached garage. Internal viewing of this well presented home recommended. 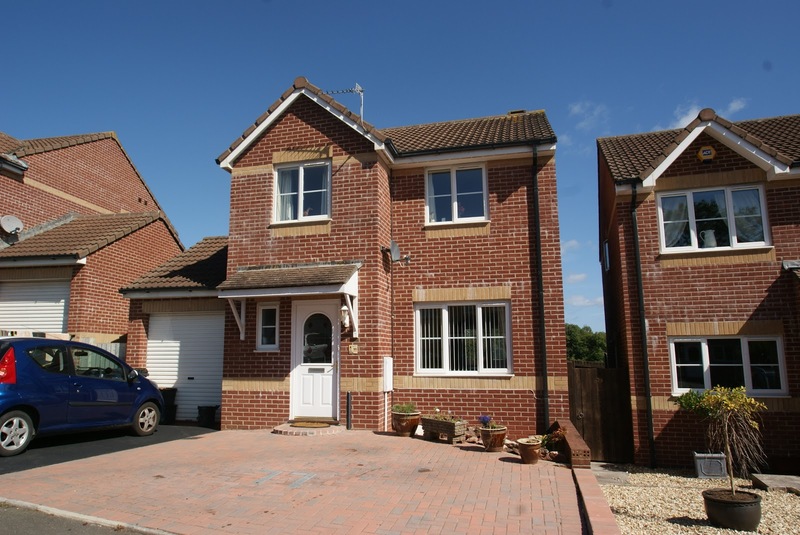 A well presented 3 bedroom detached House with garage and parking. The stylish internal accommodation has neutral colour scheme and is continued throughout the property enhancing the appeal. Features include a through lounge/dining room with patio doors leading to an attached timber deck, an ideal place for entertaining/dining, en-suite shower to master bedroom and well fitted kitchen with breakfast bar. The property has the modern comforts of double glazing and gas central heating. Externally the property has off road parking for two/three cars and a garage. The gardens run to the left hand side of the property and to the rear which enjoys countryside views to distance. Selling property faster and at a higher price. 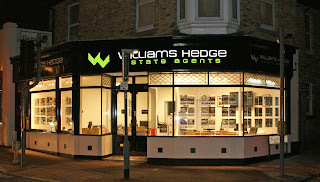 According to leading UK Website, Williams Hedge Estate Agents sell property at the highest price and in the shortest time. "Average Property Price £233,001 - the highest out of 17 estate agents. Extremely well presented and extended 4/5 bedroomed chalet style bungalow situated in higher Preston. Hallway, split level open plan lounge and dining room with sea views, fitted kitchen/breakfast room, family room/bedroom 5, 4 bedrooms (1 en-suite shower/W.C), family bathroom/W.C, gas central heating and UPVC double glazing, garage and driveway parking, enclosed rear garden, superb sea views to Torquay & Brixham. No Chain. Viewing highly recommended. "To all the Team at Williams Hedge, Thank You for everything, much appreciated." 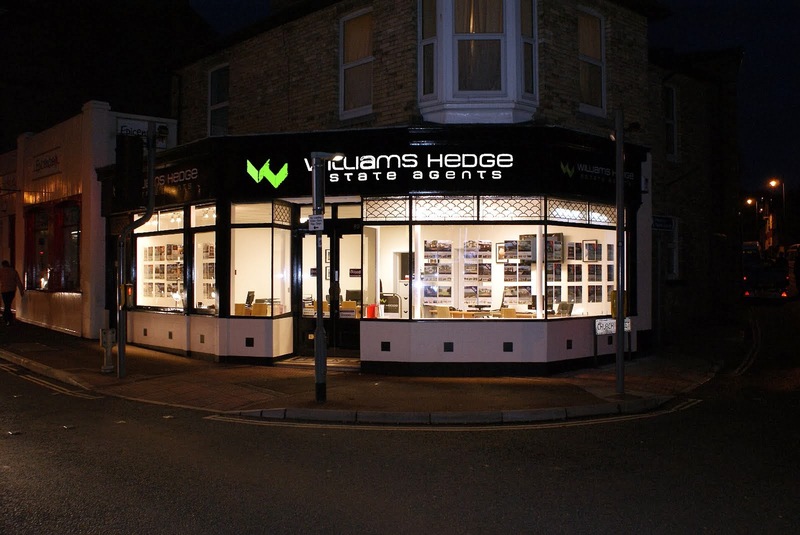 "To all at Williams Hedge, Thanks for all your help"
Summit Lodge is a substantial detached residence located in a favourable position enjoying panoramic views of the bay. The generous accommodation includes a one bedroom ground floor annexe which is ideal for a relative, extended family or possible income. The main accommodation over floors one and two boasts 4 bedrooms with master en-suite. Externally the sweeping driveway provides ample parking and garaging facilities. The property has Solar pv panels to the rear on a feed in Tariff. Additional features include a store/gym behind the garage, external workshop/hobbies room, landscaped gardens and Hot Tub, Summer house and Green house. An internal viewing of this substantial family home with views over the entire bay is essential in order to appreciate the true size of accommodation on offer. A completely refurbished semi-detached bungalow with fine sea views | L-Shaped Reception Hall | Lounge/Diner | Brand New Fitted Kitchen | 2 Bedrooms | Brand New Bathroom/W.C | Gas Central Heating | UPVC Double Glazing | Larger than average Garage | Utility Area | Enclosed Rear Garden | Fine Town and Sea Views | No Chain | Viewing Recommended. This completely refurbished and superbly presented two bedroomed semi-detached bungalow occupies a residential position in the popular Primley Park area of Paignton around just ½ a mile from the town centre which offers a wide and varied range of shopping facilities and amenities and access to beaches and harbour. Features of the accommodation include and L-Shaped reception hall, lounge/dining room with recessed gas fire and fine open and sea views, brand new fitted kitchen with integrated oven, hob and extractor, there are two bedrooms plus brand new bathroom/W.C with quality fittings. Outside there is driveway parking for up to three cars, a larger than average garage with utility area and sea views to the rear and an enclosed rear garden. An internal inspection of this gas central heated and UPVC double glazed and newly carpeted/tiled accommodation is highly recommended. for all the support and encouragement you gave to us during our recent home sale. You get 10/10 from us! 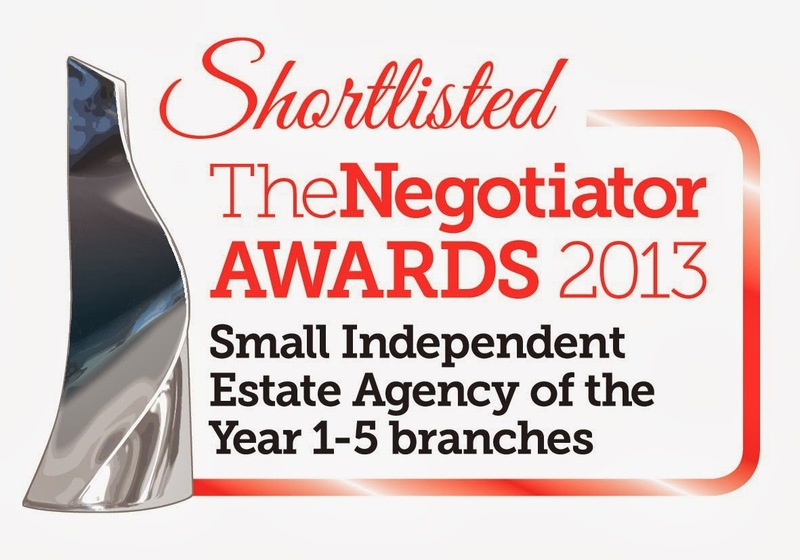 Williams Hedge Estate Agents have been shortlisted for Britains ‘Newcomer Estate Agents of the Year’ at The Negotiator Awards 2012 sponsored by Zoopla. The event is the leading nationwide estate agency awards in the UK (the Oscars of Estate Agency) and the awards will be presented at a glittering ceremony at the London Hilton Hotel on Park Lane by comedian and T.V star impressionist Jon Culshaw. Directors Jon Williams and Mark Hedge commented, “We are delighted and extremely proud to be shortlisted as finalists for this prestigious award”. “This follows on from Williams Hedge being awarded ‘Best New Business in South Devon’ at the Herald Express Business Excellence Awards held in February”. 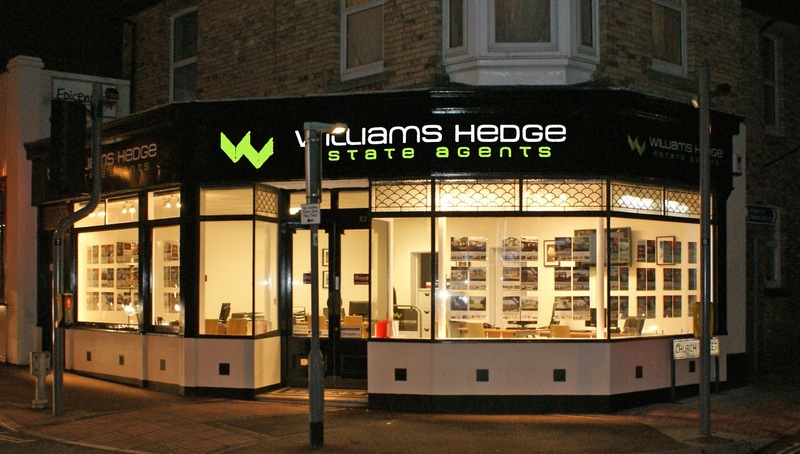 “Our nomination has added to what has been an incredible year for Williams Hedge Estate Agents and is a reward for all of the hard work and long hours put in by our professional team”. 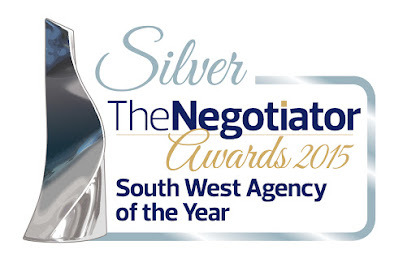 The Negotiator Awards were designed by the leading residential agency magazine ‘The Negotiator’ to identify, reward and celebrate industry excellence and promote best practice. The Negotiator is a staunch supporter of professionally run and successful businesses designed to raise industry standards through a commitment to clear communication, transparent fees and quality service. With our sincere thanks to you all for all your hard work on our behalf. The service you gave was second to none and the support you gave was beyond the call of duty. We have no hesitation in recommending you - you give Estate Agents a good name! Our regards & thanks to you all, with our best wishes for your future success. ‘Best Newcomer’ category at The UK Negotiator Awards to be held at the London Hilton Hotel on Park Lane. These are the UK premier awards for Estate Agencies – The Oscars of Agency and we are thrilled and extremely proud to be shortlisted and look forward to this fantastic event in London. We will let everyone know how we get on. An opportunity to acquire a substantial bay fronted semi detached house located in close proximity to the sea front and amenities at Preston. The property currently homes an extended family as is ideally laid out for such use. The flexible accommodation has a ground floor bedroom, ensuite, with two receptions and a kitchen/utility, on the first floor two bedrooms, a lounge and bathroom, on the second floor two further rooms to roof space (currently as a bedroom and study). The accommodation will suit a growing, extended family or home and income. Externally there is off road parking for several vehicles leading to the double garage and south westerly rear garden. 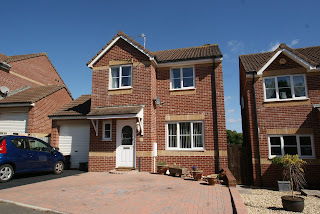 Internal viewing of this well presented family home highly recommended. IDEAL PROJECT - To be made into delightful home. Blue Waters Drive, Paignton, £499,950. Detached Residence occupying stunning cliff top location in sought after position | Spectacular uninterrupted sea and coastal views | Well Proportioned Accommodation requiring some modernisation | Entrance Porch | Reception Hallway | Cloakroom/W.C | Living Room with Superb Views | Separate Dining Room | Conservatory with Fine views | Fitted Kitchen | 3 Bedrooms (one on first floor ) | Bathroom/W.C | Gas Central Heating | Everest uPVC Double Glazing | Double Garage | Enclosed Rear Gardens overlooking the bay and coastline | Garden access to coastal path | Viewing Highly Recommended | No Chain. 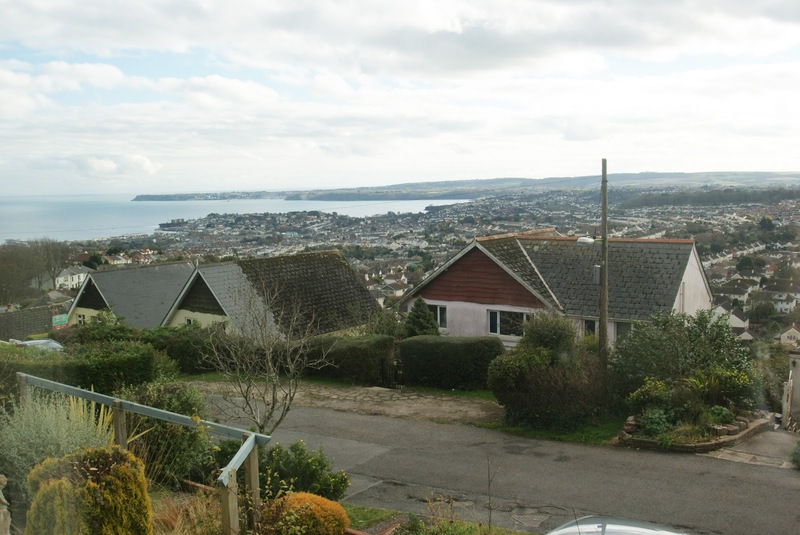 This three bedroomed detached cliff top dormer bungalow is located in one of the areas most sought after addresses and enjoys the most spectacular uninterrupted views of the surrounding coastline and across Torbay from Berry Head around to Torquay. Blue Waters Drive is located in the popular Broadsands area close to the beach at Broadsands and Elberry Cove and convenient to a local range of shops and facilities including the health centre at Cherry Brook which is within 700 metres. Features of the well proportioned accommodation include reception hallway, cloakroom/W.C, spacious lounge with picture window which enjoys magnificent views over Broadsands beach and over the bay, across the surrounding coastline to Brixham and out to sea. There is a separate dining room with doors leading to the rear sun conservatory which again enjoys spectacular views, a fitted kitchen, two bedrooms on the ground floor (the master enjoys stunning sea views) and a larger than average bathroom/W.C. 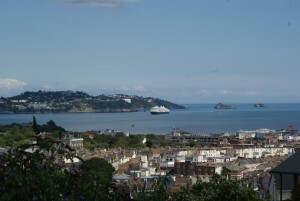 On the first floor there is a further double bedroom which again enjoys beautiful uninterrupted sea and coastal views. Outside there is a double garage with electronic up and over door, driveway parking, landscaped front garden and splendid rear gardens with sun patio and lawns leading down to the bottom of the garden where there is private access to a coastal path. An internal inspection of this property is highly recommended to fully appreciate the position, views and further potential on offer. Many Thanks for your help with the purchase of '** Corsham Road’ particularly Suzanne and Mark. A delightful 1920's(unverified) residence in need of modernisation and refurbishment. The property is architectually pleasing with Tudor influence and is located in a private cul de sac of five properties. The "chalet style" design residence features a large fireplace to lounge, extended Dining/Family Room, gardens to three sides and a delightful sea view to landmark of Berry Head. Shorelands offers a great opportunity to acquire an interesting development/project in an established sought after residential location. Sale by Informal Tender | Closing 03rd October 12 noon | Open viewing sessions - please call for details. Character property in enviable location | Pleasing architectural design leading from private drive with stunning sea views to rear | Attractive 1920's Detached chalet style house in exclusive cul-de-sac | Requires extensive modernisation and updating | Entrance Hall | Extended Dining/Family Room | Lounge | ) | Kitchen | WC | Pantry | 3 bedrooms ( ground floor bedroom 3 off lounge) |cloaks store | Ground floor WC | Walk in Pantry | Coal Store | Half gallery landing | Bathroom | Off Road Parking for 2 vehicles | Detached Garage | Level plot | Gardens to side & Rear | Gas central heating | Some double glazing(where stated). Detached Bungalow with gardens backing onto Clennon Valley | Reception Hallway | Lounge | Dining Room | Fitted Kitchen | Sun/Utility Porch | 2 Double Bedrooms | Bathroom/W.C | Gas central heating and UPVC Double Glazing | Underhouse Store/Workshop | Garage and driveway parking | Delightful rear garden backing onto Clennon Valley | Popular location near beach | Requires some modernisation | No Chain | Viewing recommended. 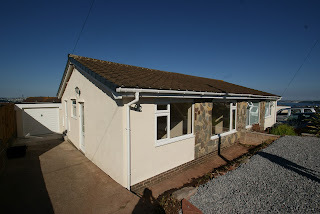 This detached two bedroomed bungalow occupies a popular location within the Clennon/Goodrington area of Paignton within around 1/4 mile distance from Goodrington beach and Youngs park and just a mile from Paignton town centre which offers a wide and varied range of shopping facilities and amenities, beaches and harbour. Features of the accommodation include reception hallway, lounge, separate dining room overlooking the rear garden and Clennon Valley, fitted kitchen/breakfast room, two bedrooms plus bathroom/W.C. Outside there is a garage and driveway parking, landscaped front garden and delightful rear garden which are mainly level and back onto the popular Clennon Valley area. An internal inspection of this gas central heated and double glazed property which requires some modernisation is recommended. A remodelled and refurbished substantial reverse level detached house offering flexible living accommodation with fine sea views. The property has been transformer by its current owners to create a stylish and inviting family home which would cater for an extended/growing family and/or annexe accommodation with separate access to the ground floor. Features include an impressive open plan main reception/family room incorporating living area/kitchen and dining, high quality flooring, refurbished family bathroom and ensuite and enviable views over the coast and nearby conservation area. The ground floor has kitchen facilities and shower room and would easily suit full time residency of a relative/extended family member. Externally the garden is well thought out with hard landscaping in terraces to take full advantage of the sunshine and views. Internal viewing is highly recommended. "Mum and I are getting settled, still boxes to empty and all the electrics are being done and new fencing etc etc – it’s all happening but it’s wonderful and we are so very happy. Thank you, in particular to you Mark, for delivering on your promise to sell our house. We both feel a huge weight has been lifted and we can both start to live again and emerge from under the cloud we had been under. You and Jon both offered such a professional and dedicated service we were very appreciative of the time and effort that you took in selling our house. All the other estate agents in Paignton and Torbay could learn a lot from you both about how to sell a house !!! You will definitely be the only estate agent that we would recommend and return to should we decide to move again – but that won’t be too soon !!" Thanks again Mark for everything.